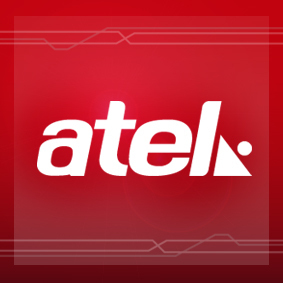 Maracaibo-based TV channel Americana de Televisión (ATEL) is not your typical local TV station. Since its foundation ten years ago, ATEL can be only seen by cable and satellite services. But early this month, there was a press report indicating the channel was close to shutting down because of debts, and because its owners were in negotiations with a group from Caracas. Except that the folks of CONATEL don’t approve. The Venezuelan broadcasting authority legally has the final word in all matters regarding media ownership, and they can simply veto the operation. In this case, they made clear their opposition by ordering all cable and satellite carriers to take ATEL off the air. Why such drastic action? ATEL’s chairman Ricardo Bravo believes the government is pressuring the station to stop its sale to Grupo 6to Poder, owner of the newspaper of the same name. In a press statement, the group admitted there were already talks between both parts underway for months but that no final agreement has been reached yet. Almost six years after RCTV’s shutdown (a case to be soon reviewed by the Inter-American Human Rights Court), the communicational hegemony has shifted its approach to take control of private media outlets. The “forced intention to sell” recently seen in the case of Globovision is the clearest example of that, and now its effects are pretty visible. Perhaps CONATEL wants all media owners to be just like Venevision’s Carlos Bardasano.